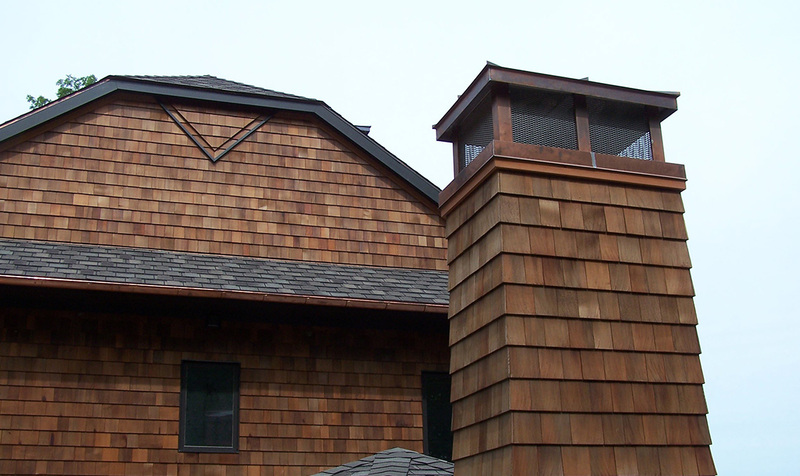 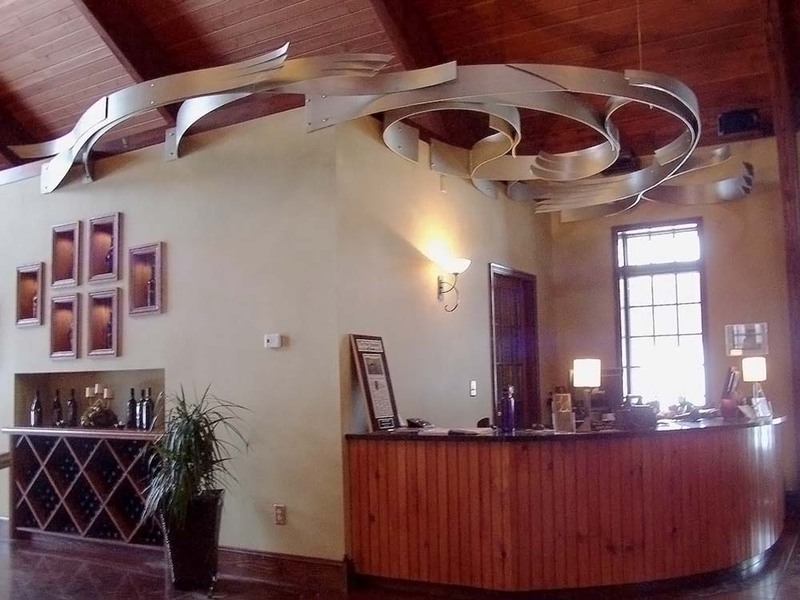 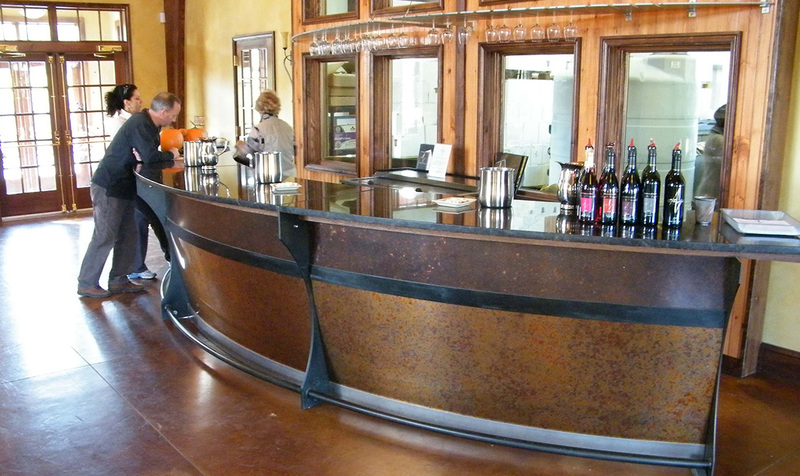 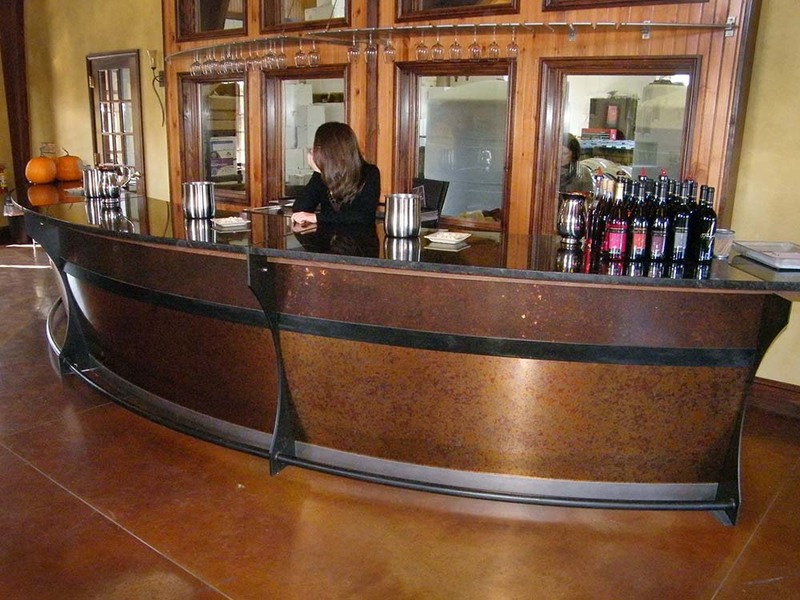 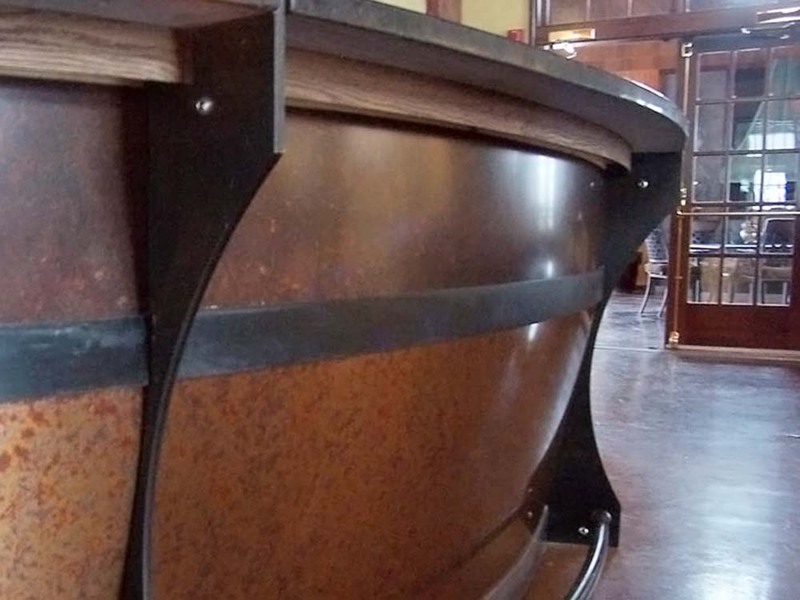 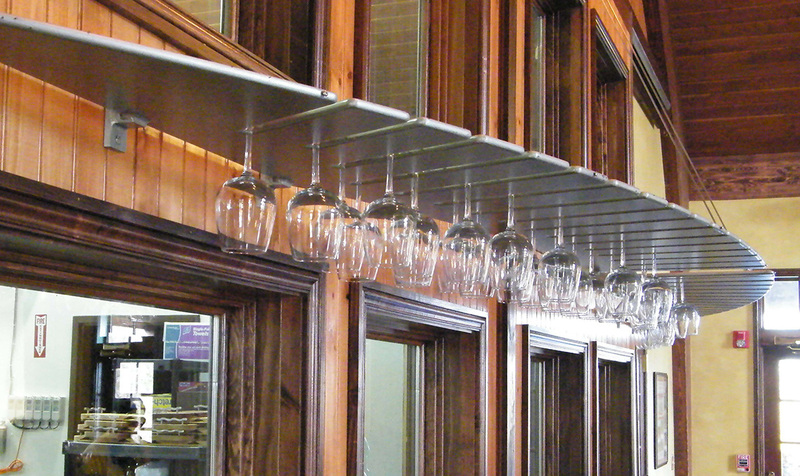 Accufab custom designed and built many of the structures and details at Anyela's Vineyards, including a copper fireplace hood, bars and decorative accents and custom steel fireplace doors, as well as several stairs and railings. 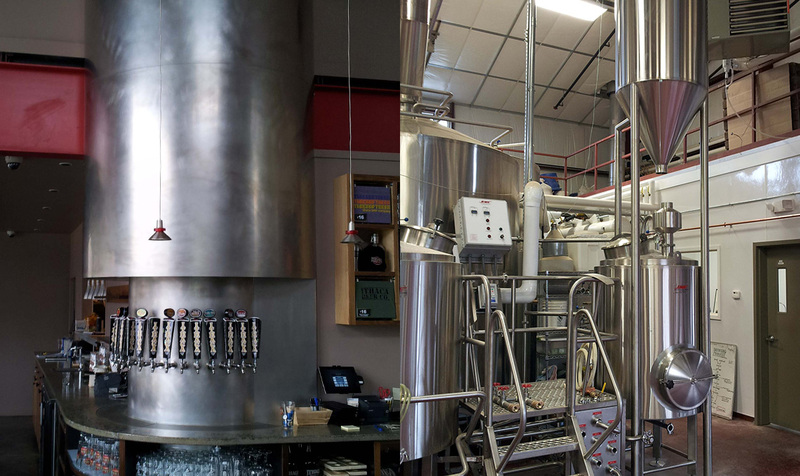 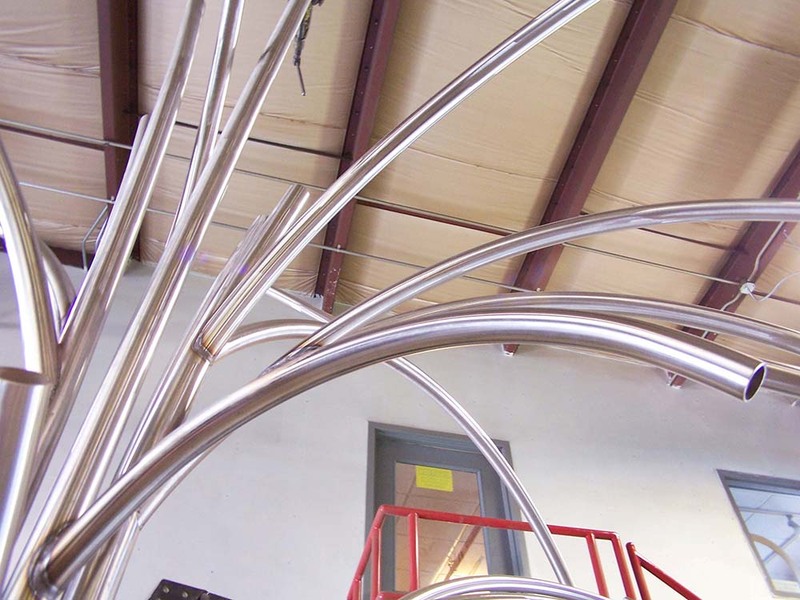 In addition to fabricating in our shop, we also delivered and installed these items, including final welding and fitting on-site for items that couldn't be transported complete, or required fitment to existing structures. 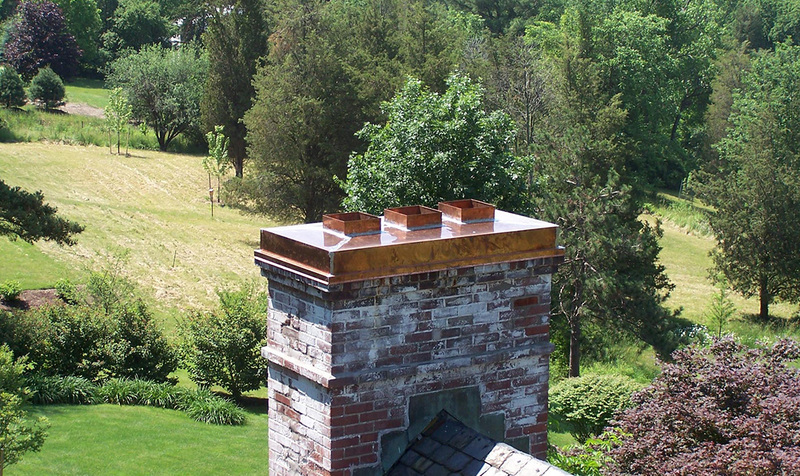 Our skilled sheet metal fabricators routinely build custom chimney caps to precisely fit any chimney or chimney chase. 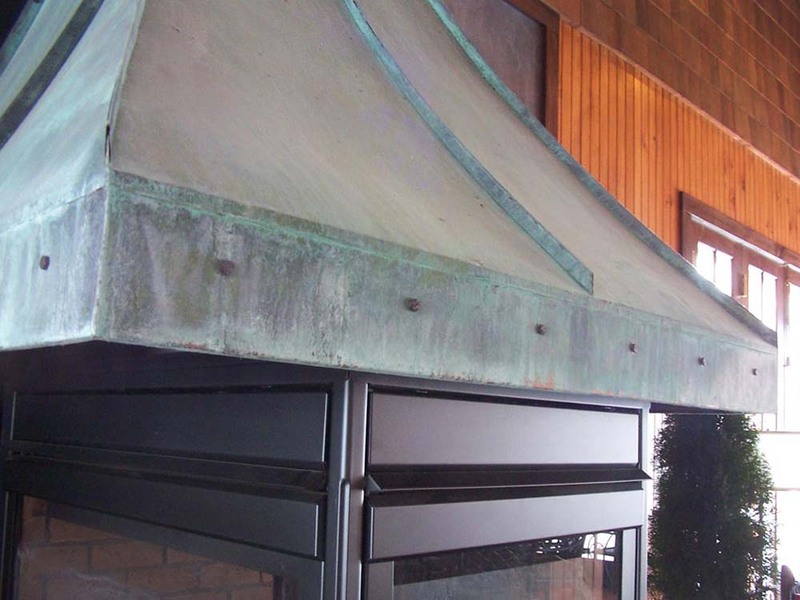 When more than a simple cap is required, we are able to work with the customer or designer to develop their vision into just the right structural aesthetic for the given building. 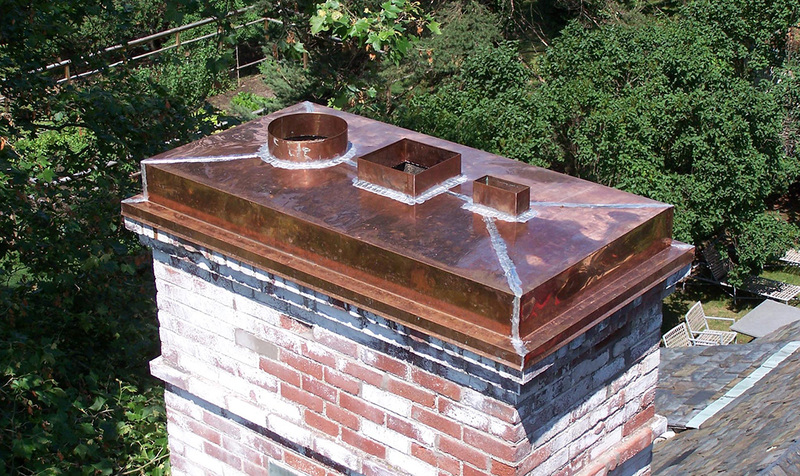 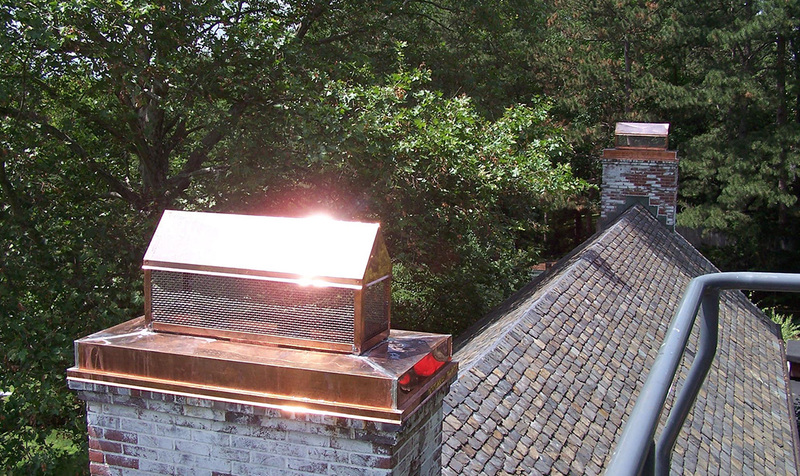 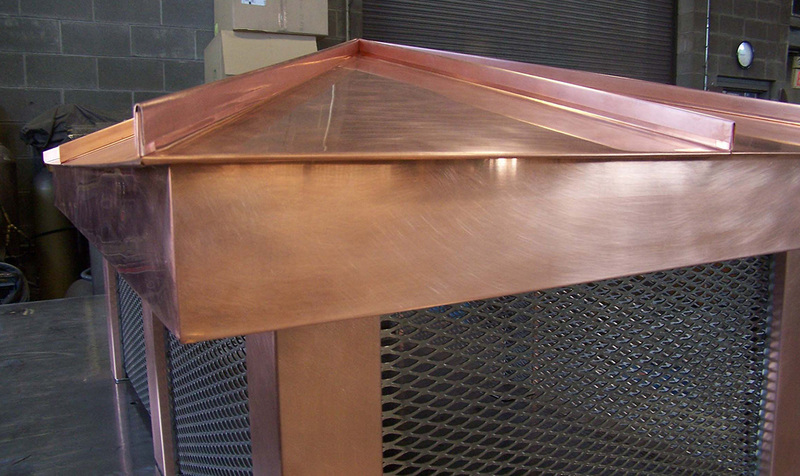 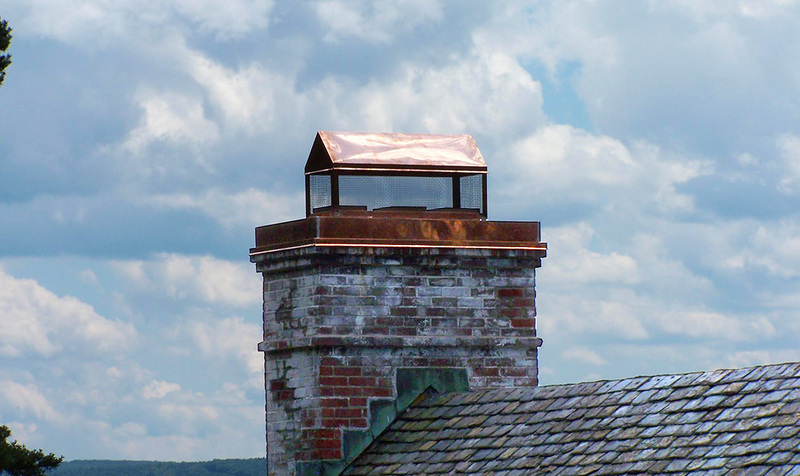 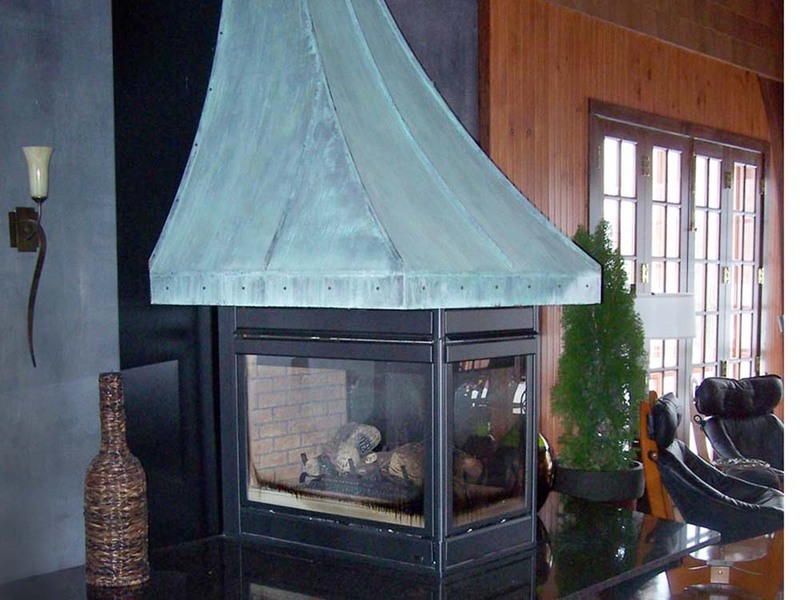 Materials for chimney caps include galvanized or stainless steel and copper, and are fully soldered to ensure watertight construction and eliminate the potential for leaks. 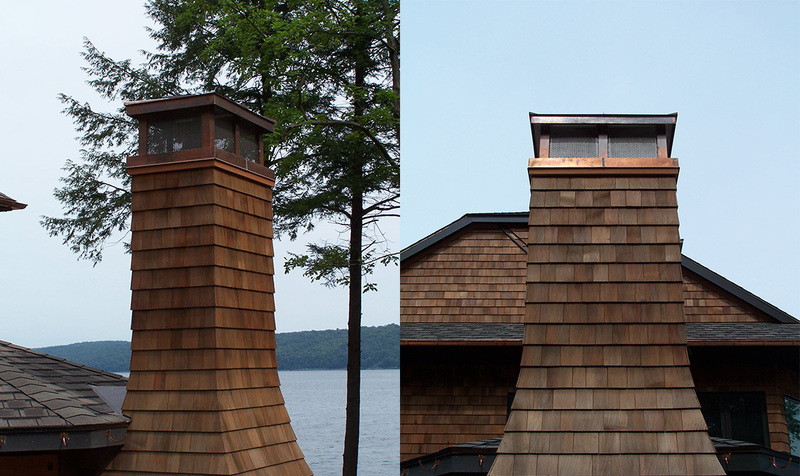 We also finish the project with expert installation including crane or manlift access if necessary. 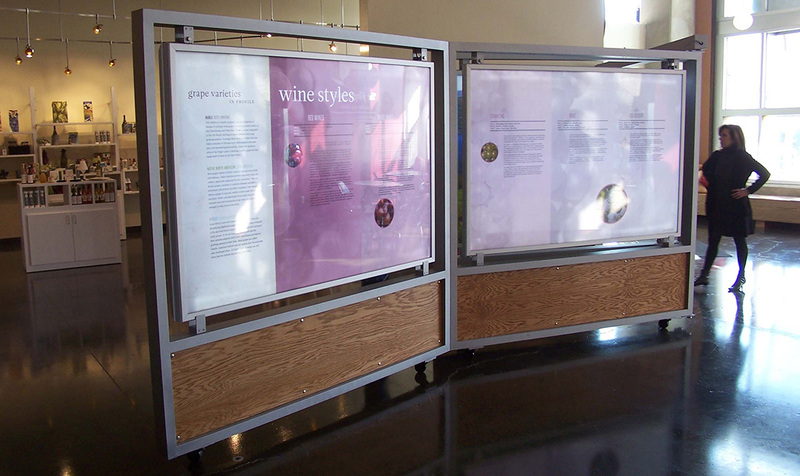 Specialty signage is a mainstay of Accufab's production. 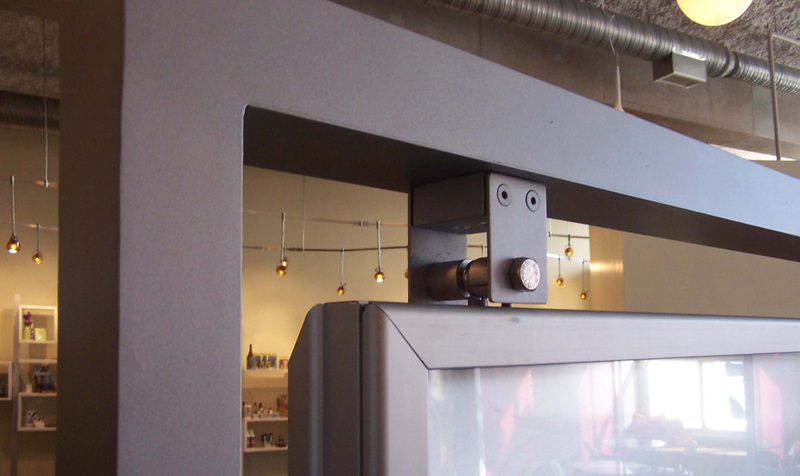 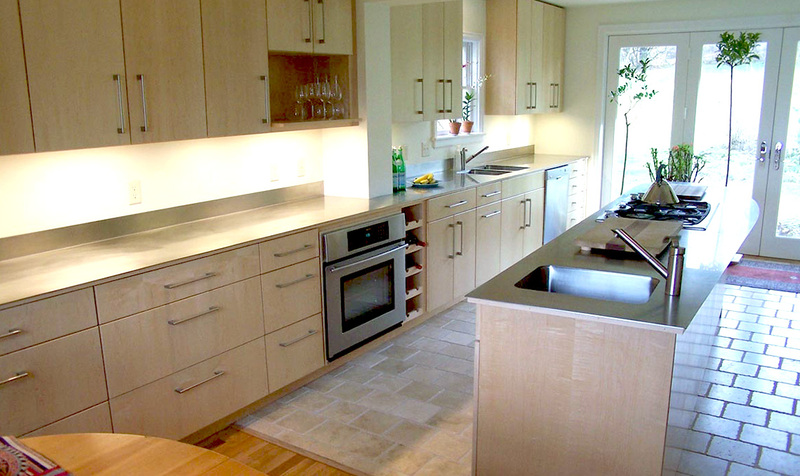 We actualize your aesthetic design using a wide range of methods and material. 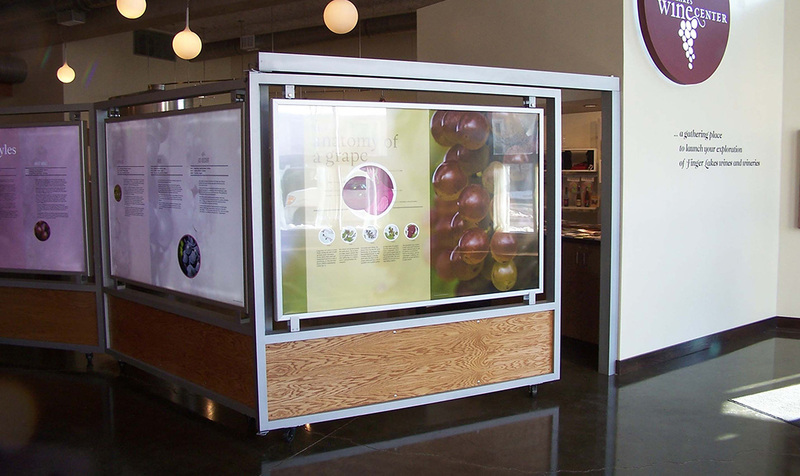 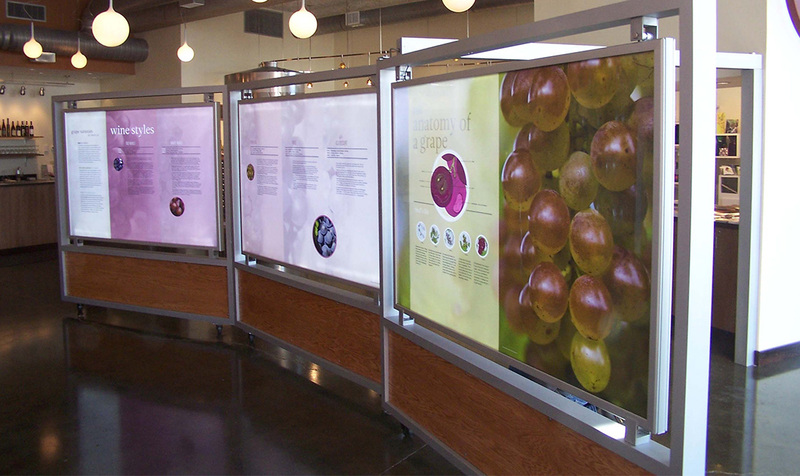 knowing that displays and signs are part aesthetic and part functional, and we strive for the right balance for your application. 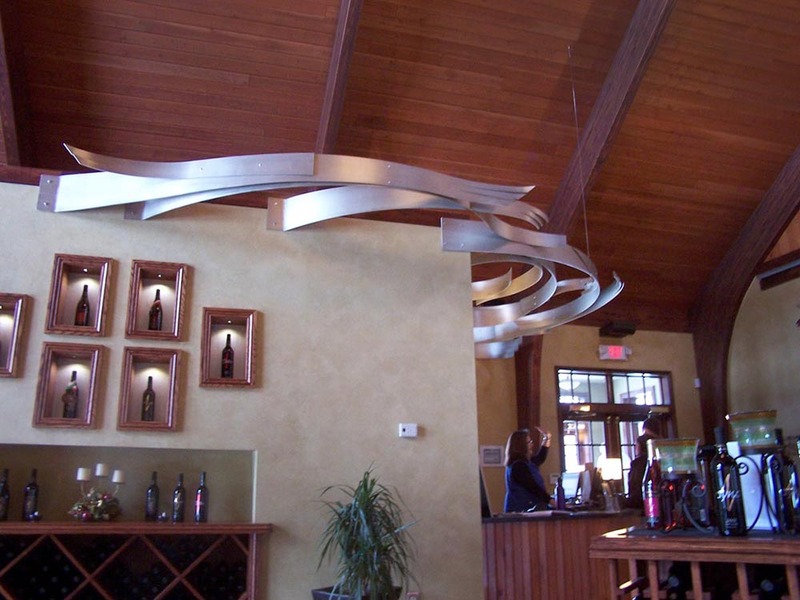 Thus why we strive to meet your needs with both beautiful designs as well as materials and construction methods that will hold up to their environment. 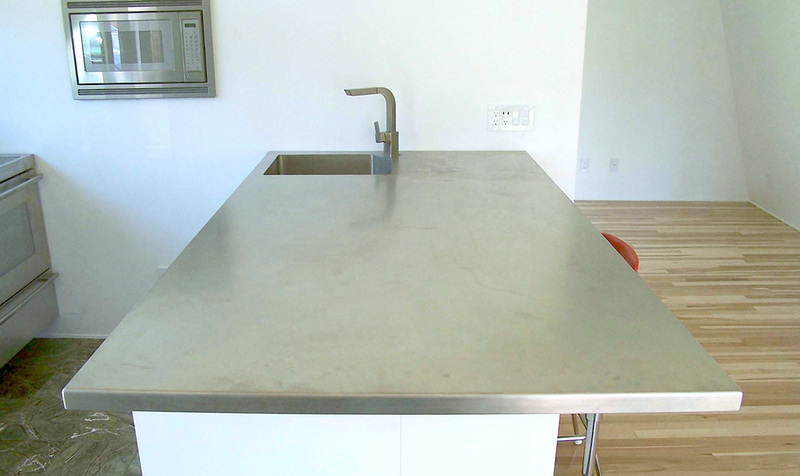 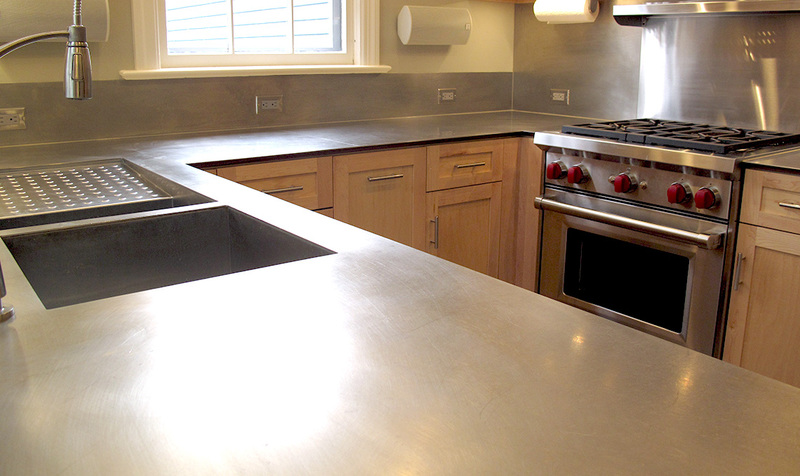 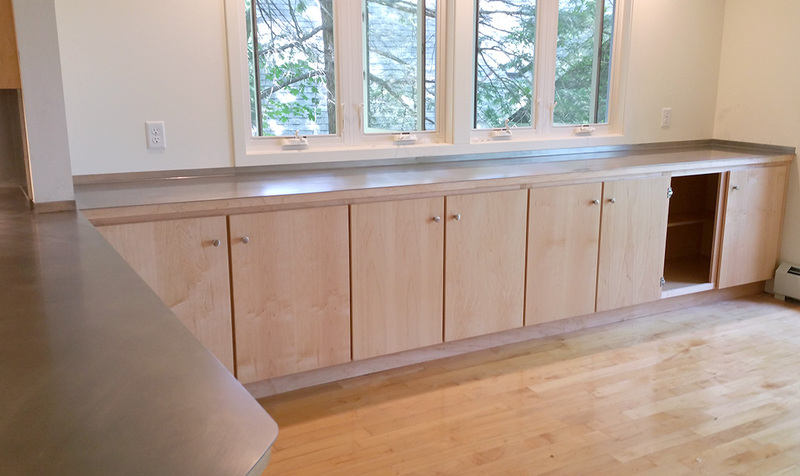 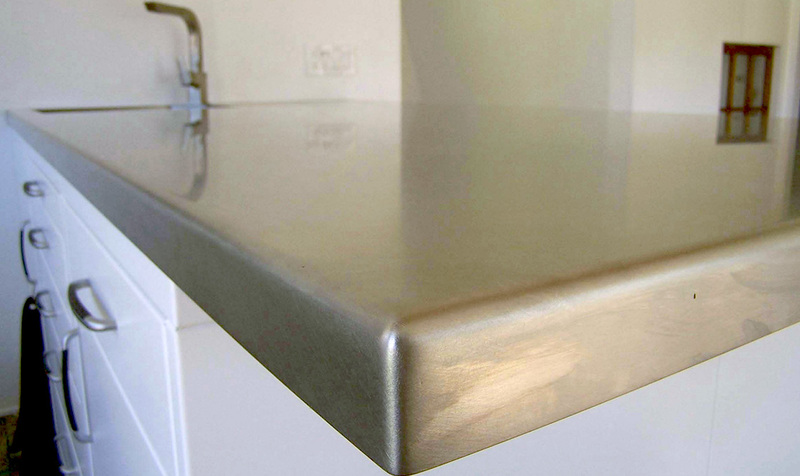 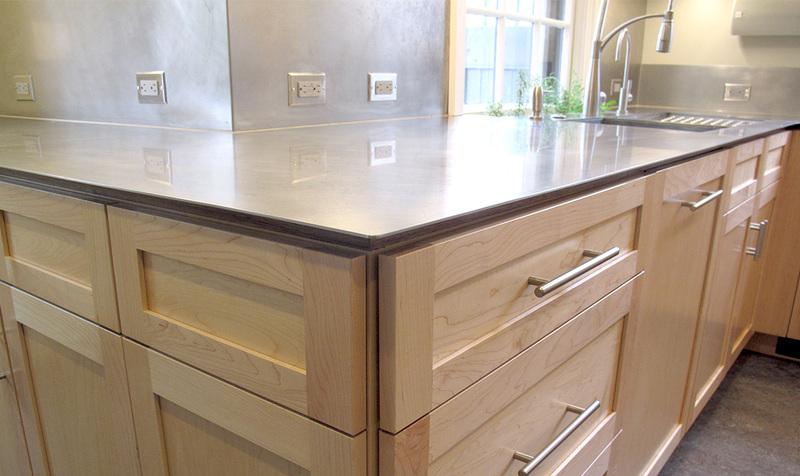 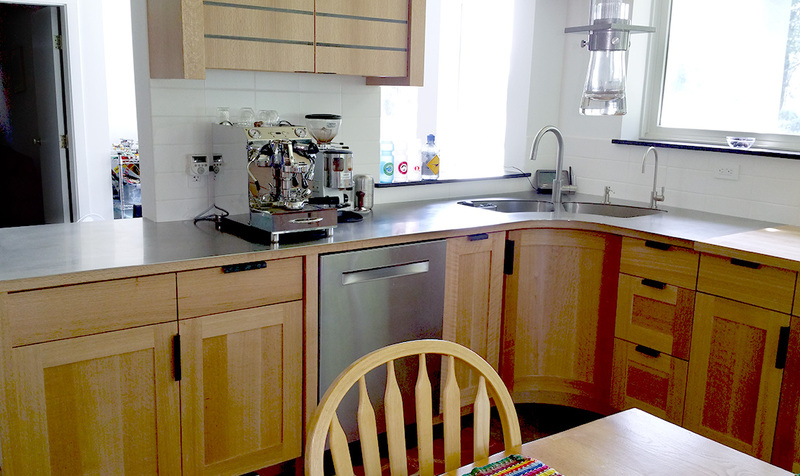 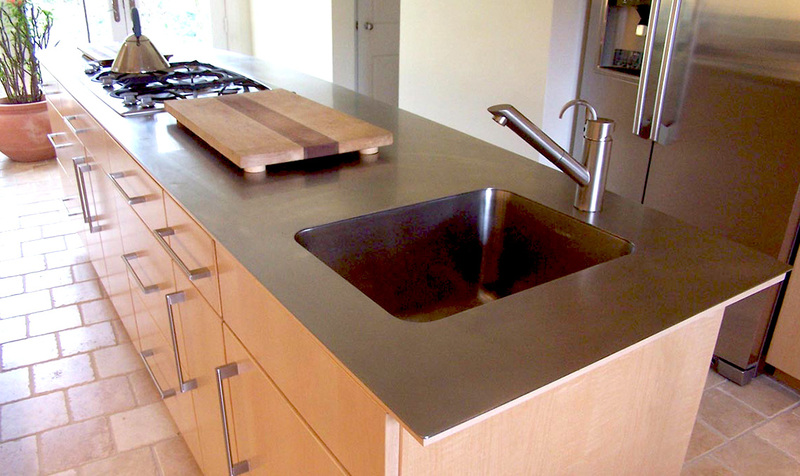 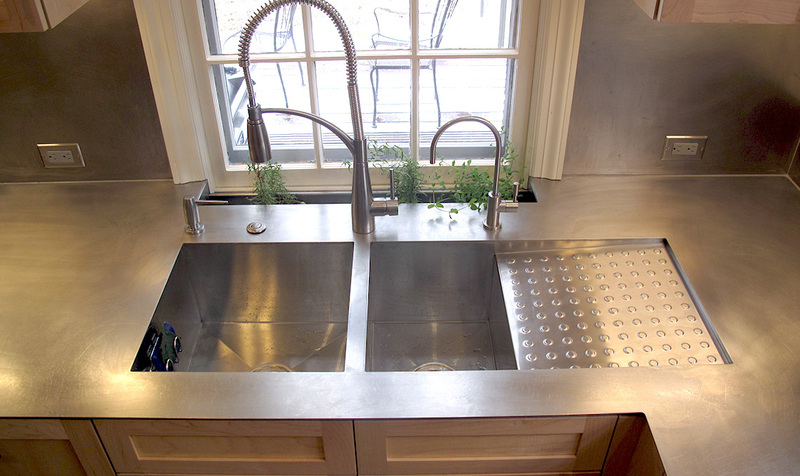 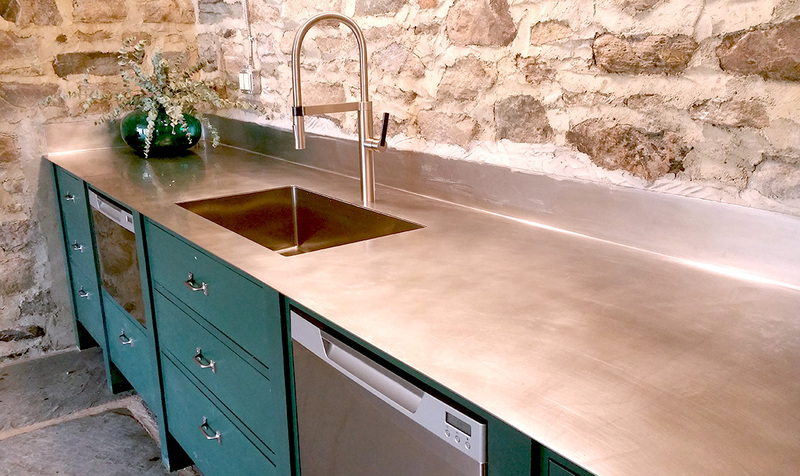 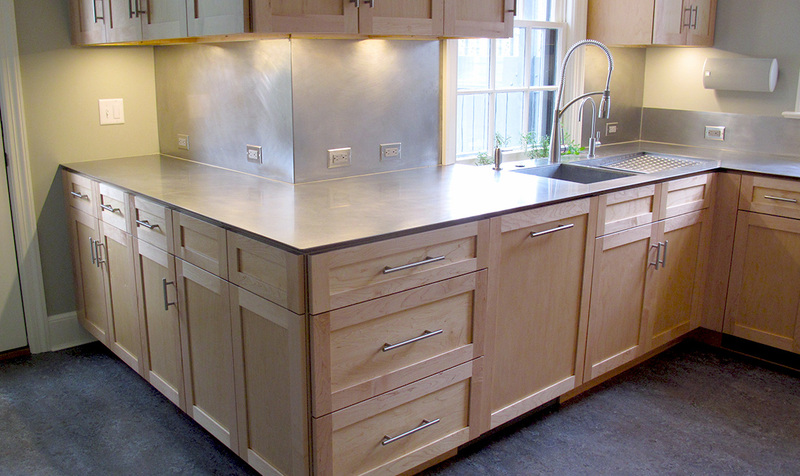 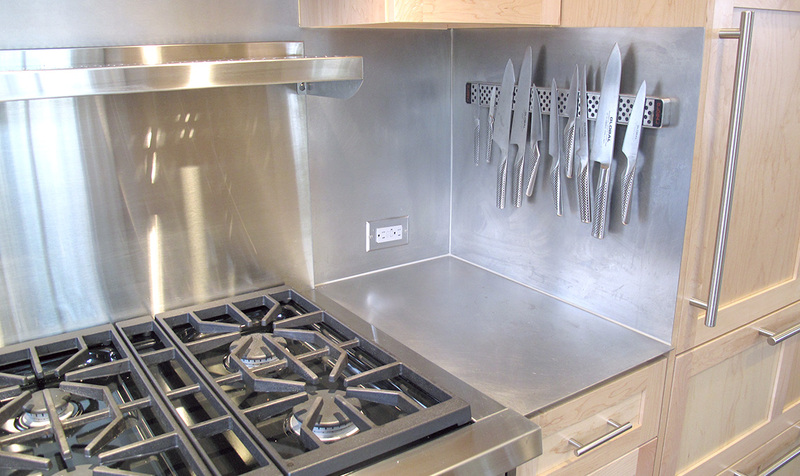 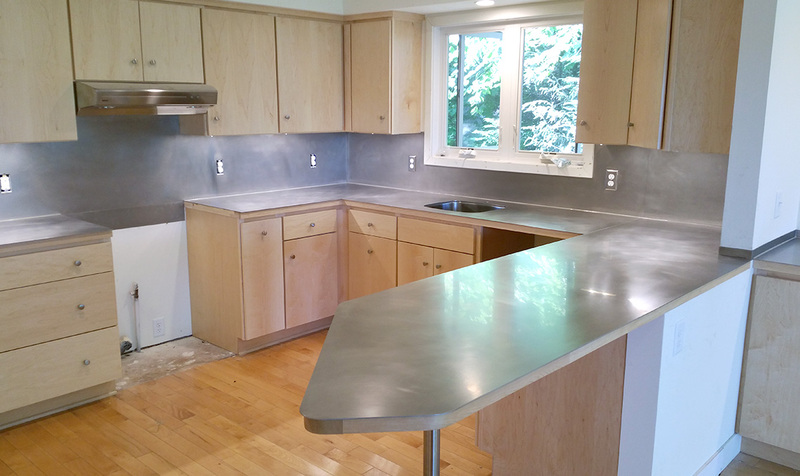 Whether residential or commercial, kitchen or bath, Accufab can design and fabricate custom countertops, backsplashes or any other structure or accent to meet your interior design and decoration needs. 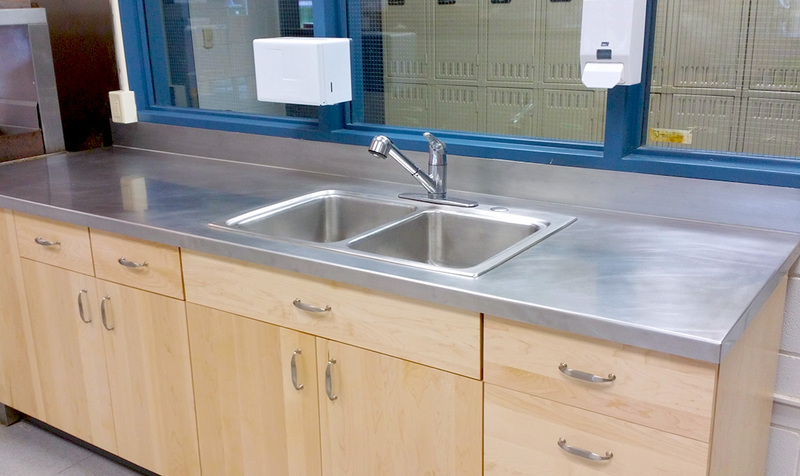 We even complete the process by offering full installation services or coordinate with the contractor completing your new building or renovation. 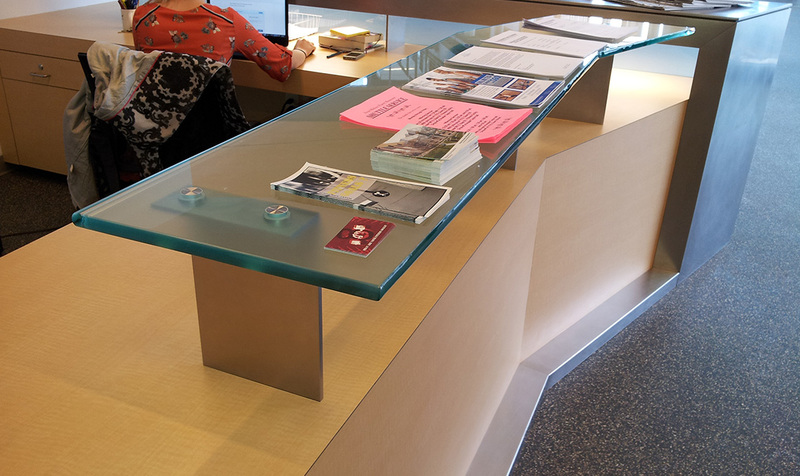 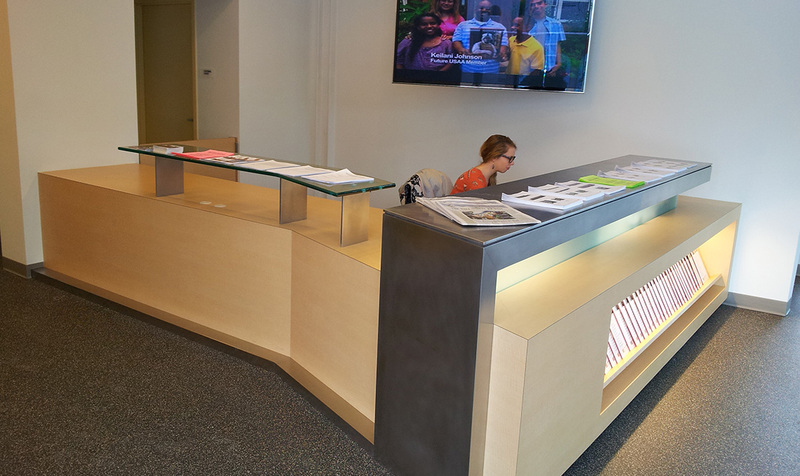 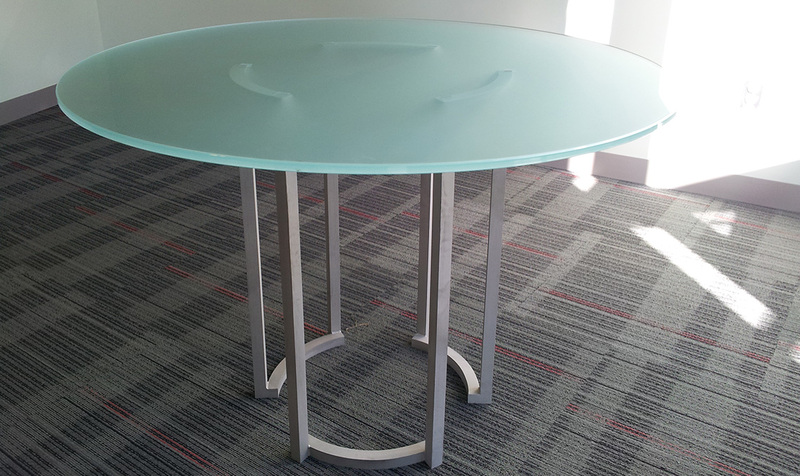 Custom commercial office space fabrication content and information here. 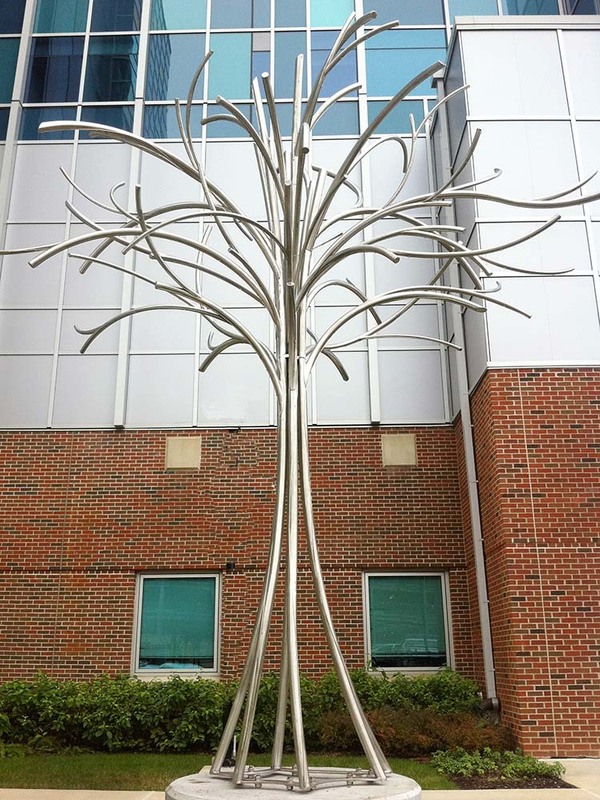 Accufab designed and fabricated this conceptual sculpture project entitled Memory Tree for the Upstate Golisano Childrens Hospital. 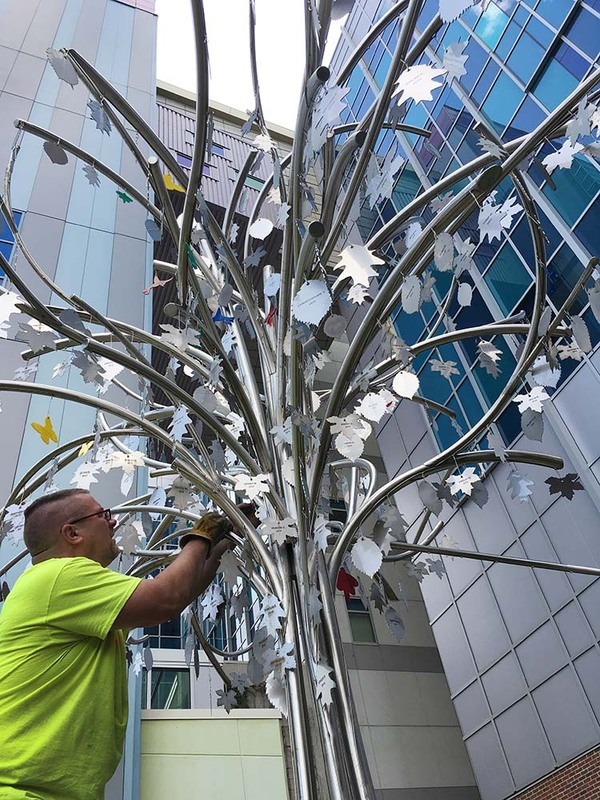 Branches represent children who passed away before Golisano opened in 2009, while the leaves represent patients of Golisano who passed away. 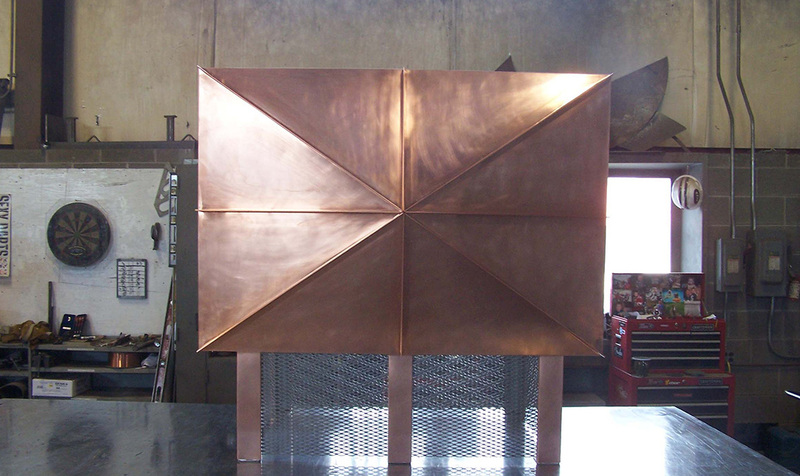 The piece was built in our shop, then transported to the site and erected. 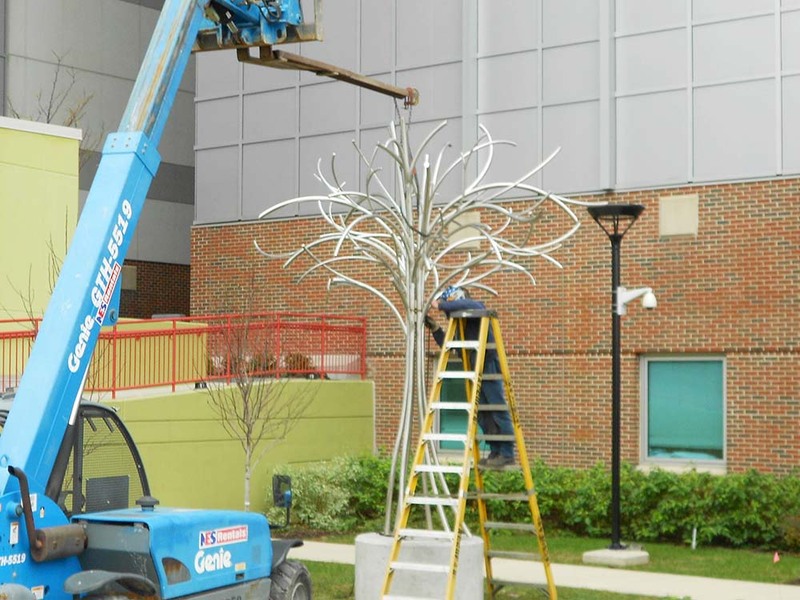 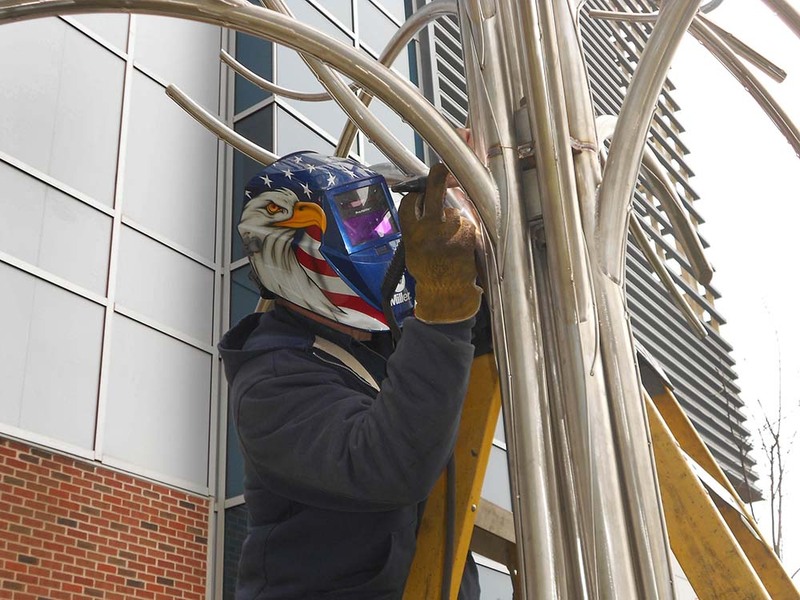 Periodically more leaves are attached and welded on-site to reflect the memory of Golisano's patients. 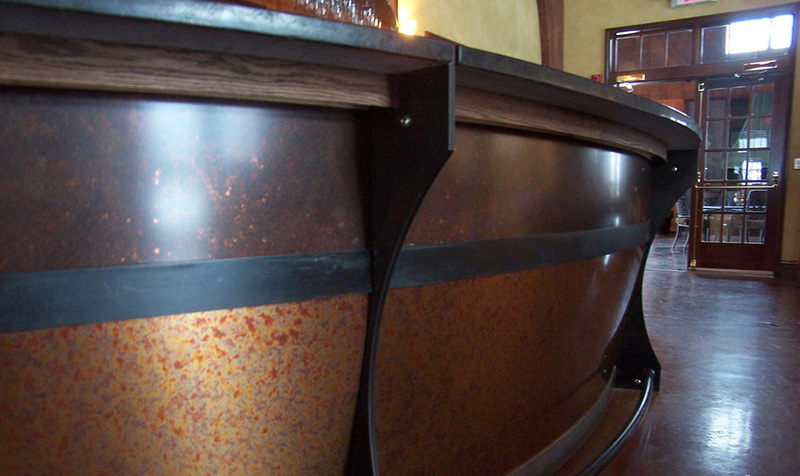 Restaurants and Bars content here.